Cantique de Jean Racine (Op. 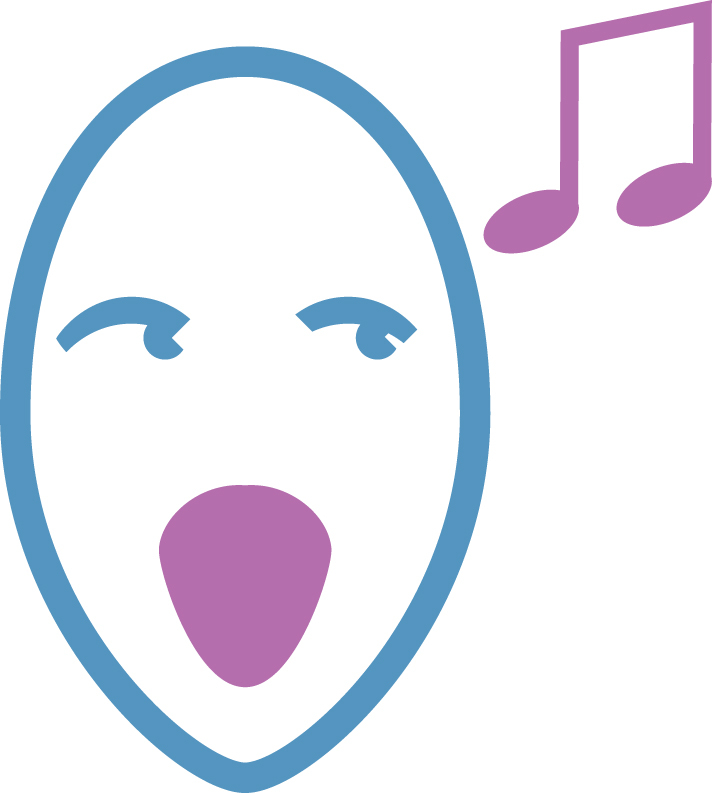 11) is a work for mixed chorus and piano or organ by Gabriel Fauré. 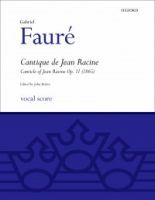 The most popular vocal score for Faure's Cantique de Jean Racine is shown below. Cantique de Jean Racine (Op. 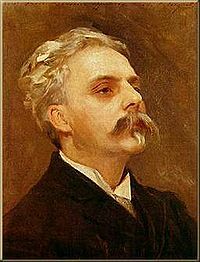 11) is a work for mixed chorus and piano or organ by Gabriel Fauré. Written by the nineteen year old composer in 1864-5, the piece won Fauré the first prize when he graduated from the École Niedermeyer  and was first performed the following year on August 4, 1866, with accompaniment of strings and organ. It was first published around 1875 or 1876 (Schoen, Paris, as part of the series Echo des Maîtrises) and appeared in a version for orchestra (possibly by the composer) in 1906. 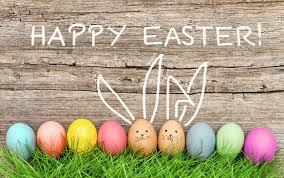 The accompaniment has also been arranged for strings and harp by John Rutter. The text, "Verbe égal au Trés-Haut", is a paraphrase by Jean Racine (Hymnes traduites du Bréviaire romain, 1688) of the pseudo-ambrosian hymn for Tuesday matins, Consors paterni luminis.